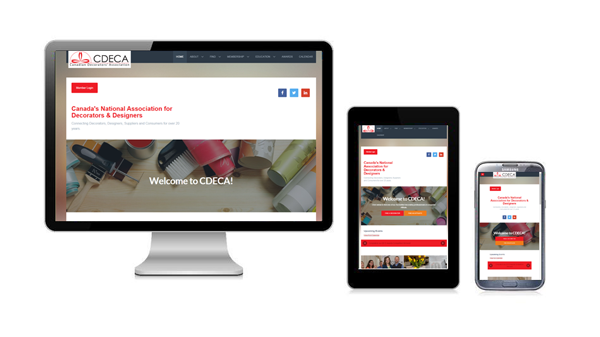 Becker Associates revamped the website of the Canadian Decorators’ Association to be responsive, more dynamic and reflective of their brand. Combined with a new template and new navigation, integration with their membership database was provided so there is now secure account lookup, with a link to order forms to pre-fill existing data. This is addition to greater back-end on-line control of current membership and purchase information. A completely new decorator and affiliate directory now includes much more control for companies to manage their on-line presence including links to 7 social media and business networking sites.